Strategically positioned in one of India�s most dynamic cities, Le M�ridien Coimbatore is close to Coimbatore Airport (CJB), major businesses, and a new IT park. It�s an ideal space for the sophisticated business professional. Complimentary Newspapers in Lobby, Security Guard, Room Service, Gardens, Wedding Services, Travel Counter, Disabled Facilities, Swimming Pool, Restaurant, Exhibit Space. Internet Access, Minibar, Refrigerator Room, H/C Water, Safe Deposit Locker Facility, Wakeup Calls, Toothbrush/Razor on Request, Desk, Cable/Satellite TV, Massage-Available in Room. Conference Hall, Coffee Shop/Cafe, Business Facilities, Breakfast Services, Banquet Facilities, Doctor on Call, Laundry Facilities, Parking, Restaurant, Room Service, Secretarial Services, Bar. 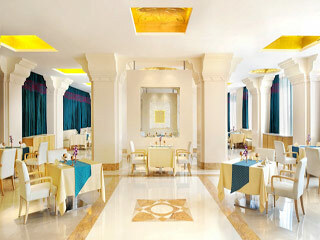 User reviews for "Le Meridien Hotel Coimbatore"